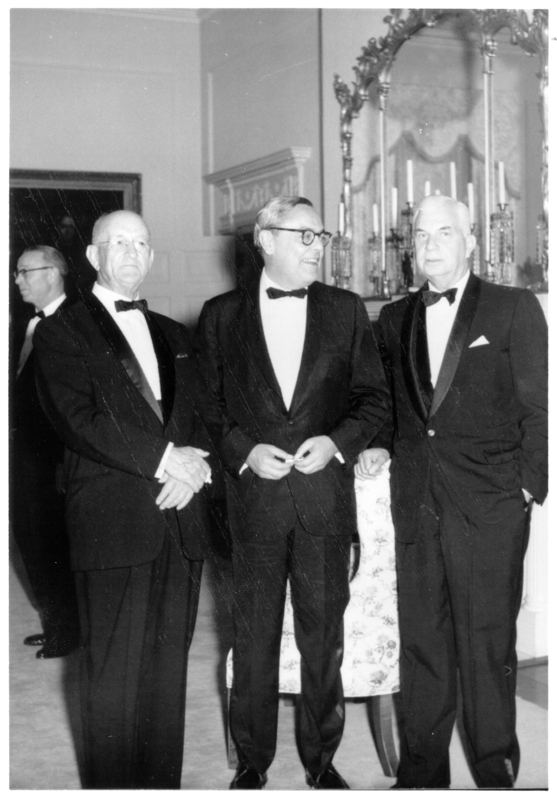 Retirement dinner guests (left to right): Justice Archibald C. Buchanan, Lieutenant Governor Fred G. Pollard, and Justice Albertis S. Harrison, 1969. Photograph courtesy of Dr. A. C. Buchanan and Tazewell County Public Library. 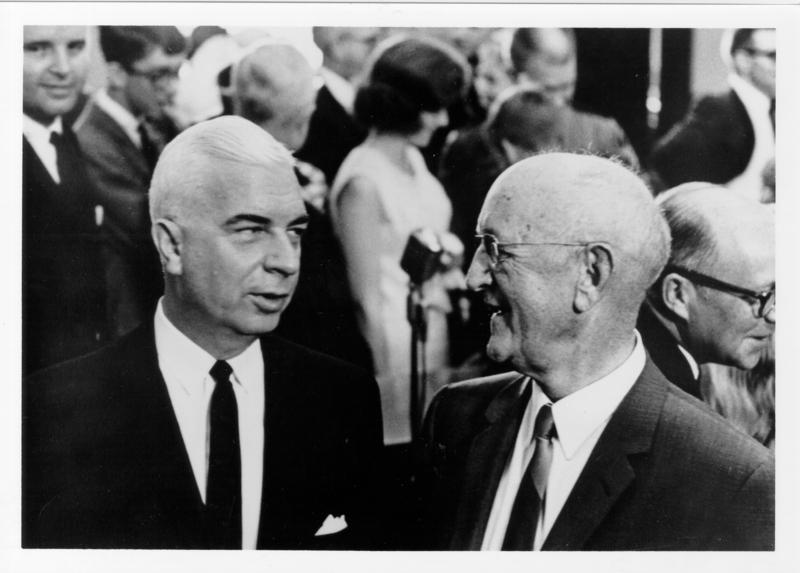 Governor Albertis Harrison (left) and Justice Archibald C. Buchanan at the unveiling of the portrait of Justice Buchanan at Tazewell County Courthouse, 12 June 1965. Photograph courtesy of Dr. A. C. Buchanan and Tazewell County Public Library.